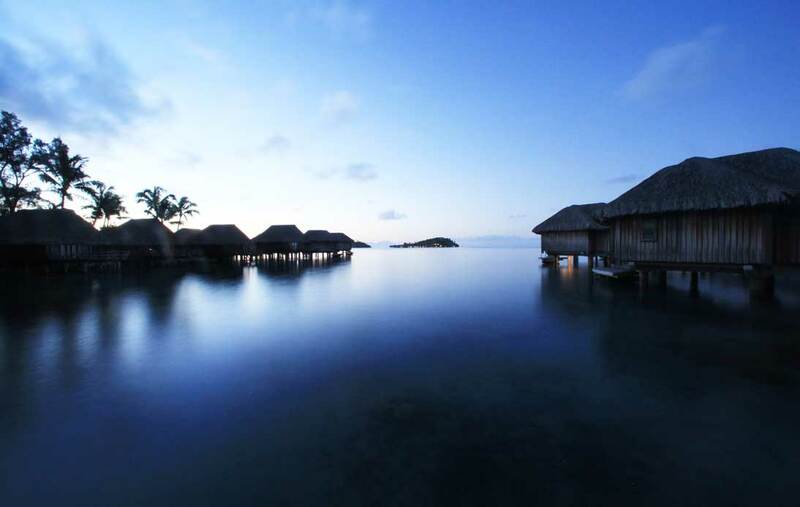 Bora Bora, the Pearl of the Pacific is often called the most beautiful island in the world. 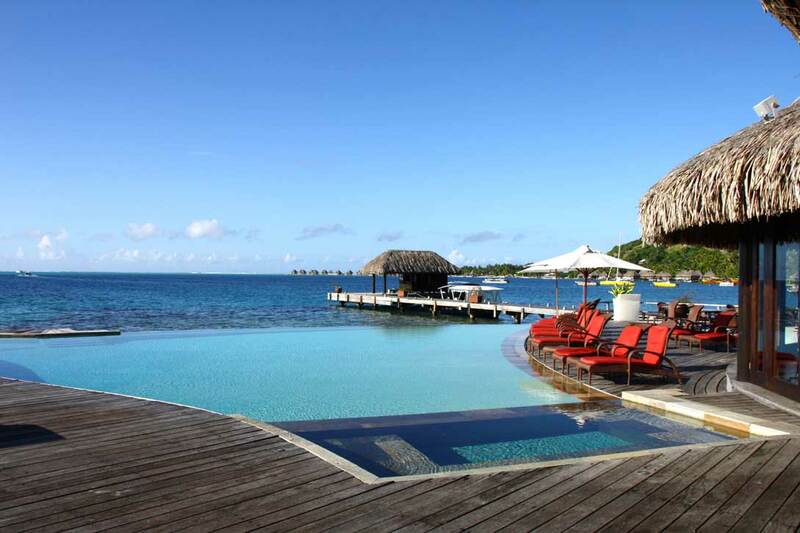 Jagged green peaks cascade down to white sand beaches and shimmering blue lagoons. 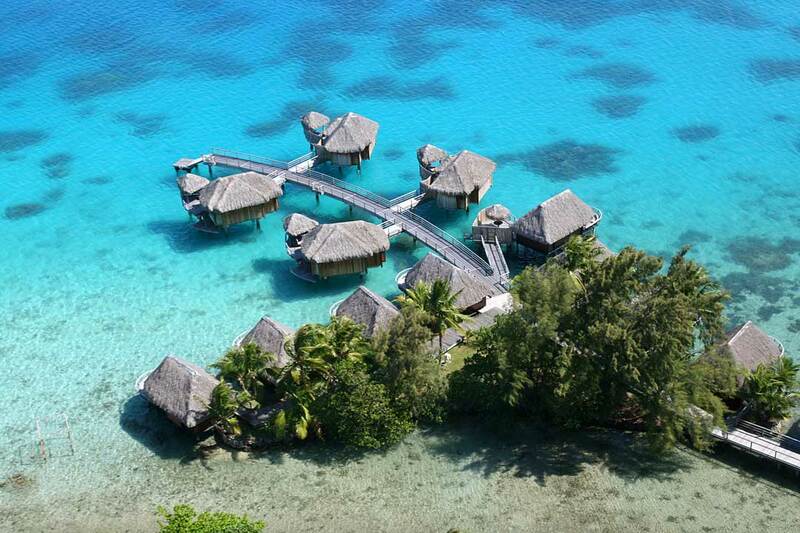 In the unparalleled Matira Bay nestles Sofitel Bora Bora Marara Beach Resort. 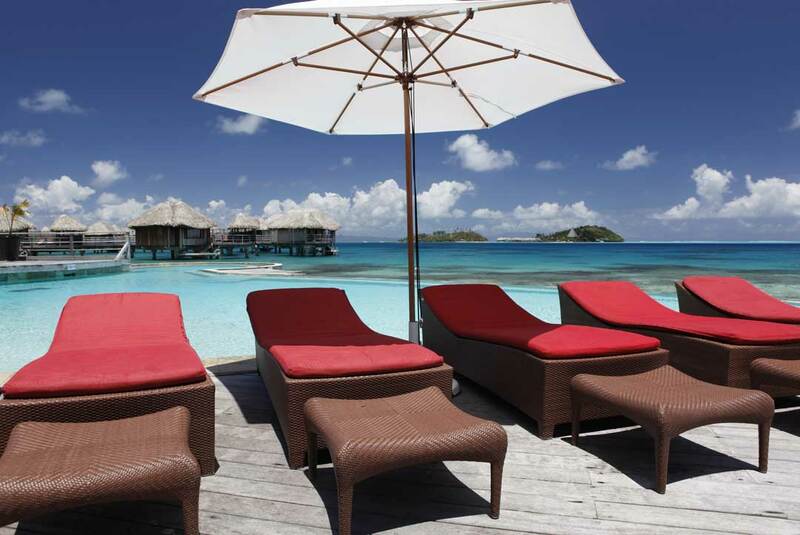 A quintessential Bora Bora beach resort, the luxury hotel sits on a sparkling beach with lush grounds dotted by hibiscus flowers and tropical blossoms. 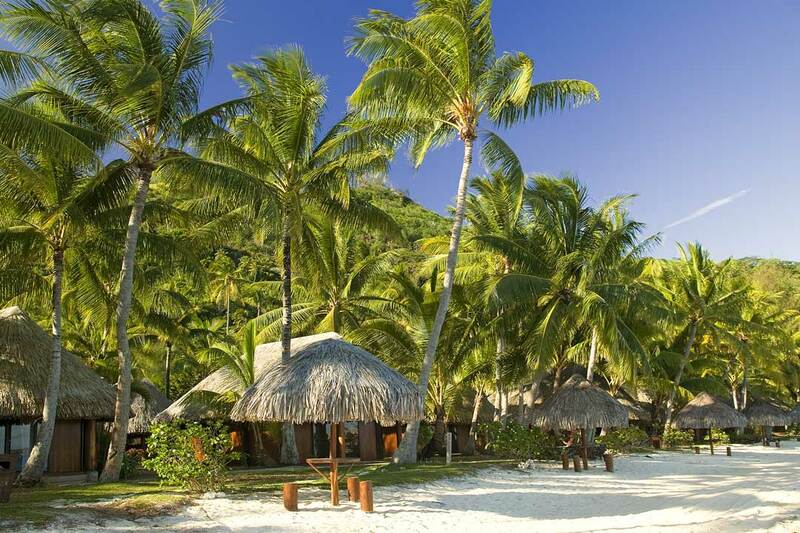 Meander the tropical landscape and explore the riches of the island. 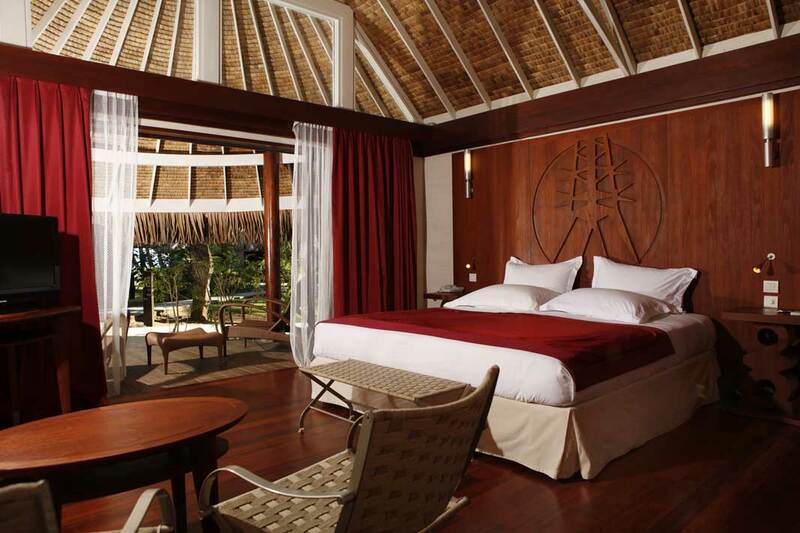 A highlight of the resort, Polynesian style bungalows showcase natural materials and forms inspired by the tropical setting. 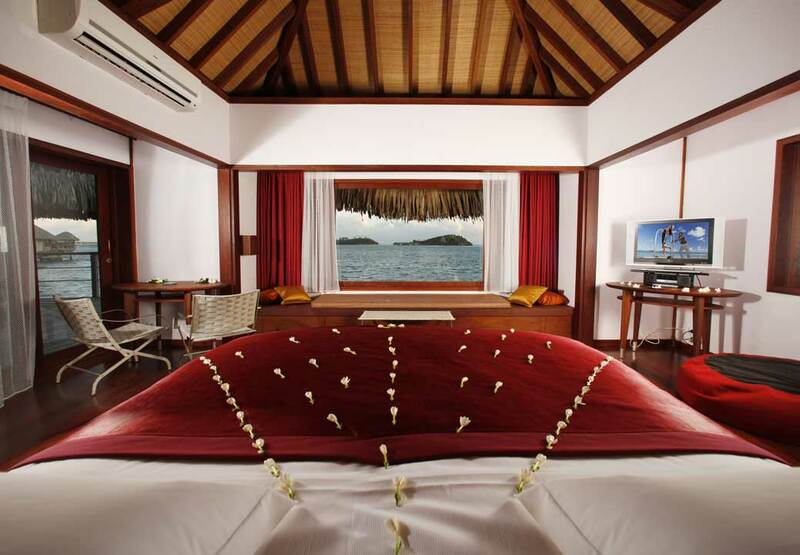 Over water bungalows perch just atop the lagoon and feature in-floor viewing platforms to watch the aquatic wonders below. 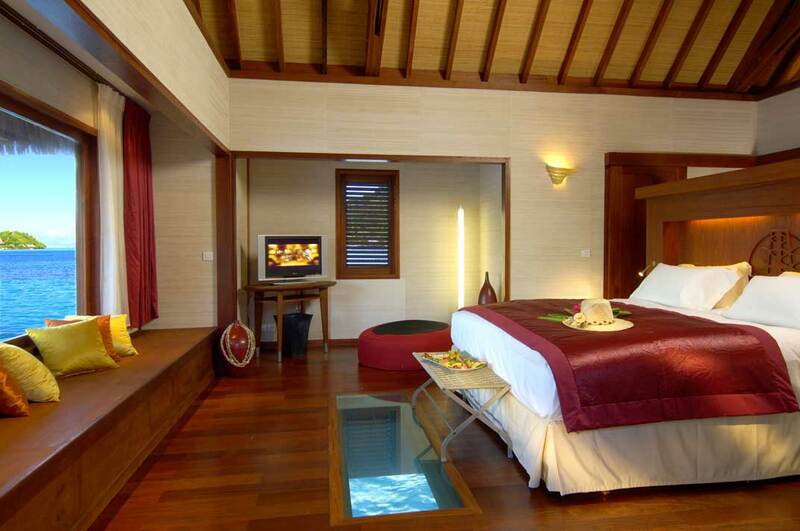 Rates per bungalow per night, signe or double occupancy, inclusive American buffet breakfast, daily reffiled minibar, 5% VAT, 5% government tax, 5% service charge and 200 XPF per person per night city tax. 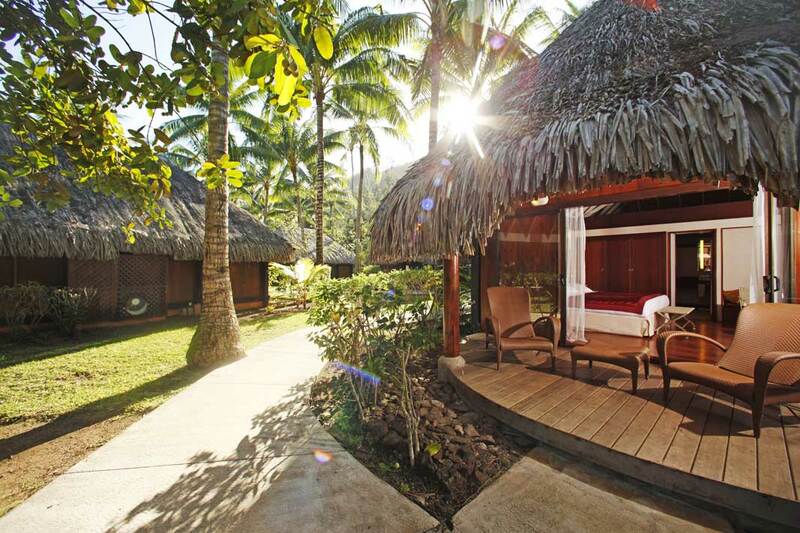 => Combining stay with Tahiti Ia Ora Beach Resort, receive 20% discount on your stay at Sofitel Bora Bora Marara Beach Resort and at Tahiti Ia Ora Beach Resort. 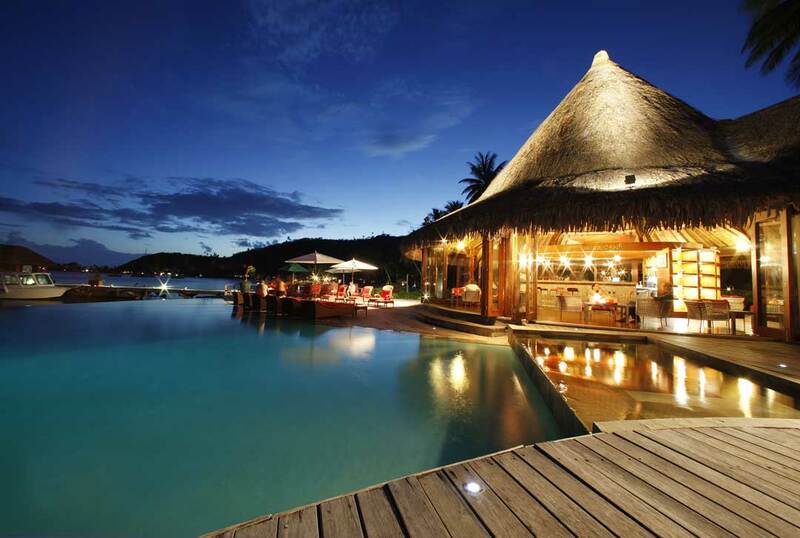 => Combining stay at Tahiti Ia Ora Beach Resort with Stay Longer, Save More offer at Sofitel Bora Bora Marara Beach Resort, receive 25 to 30% discount on your stay at Tahiti Ia Ora Beach Resort, depending on lenght of stay at Sofitel Bora Bora Marara Beach Resort. 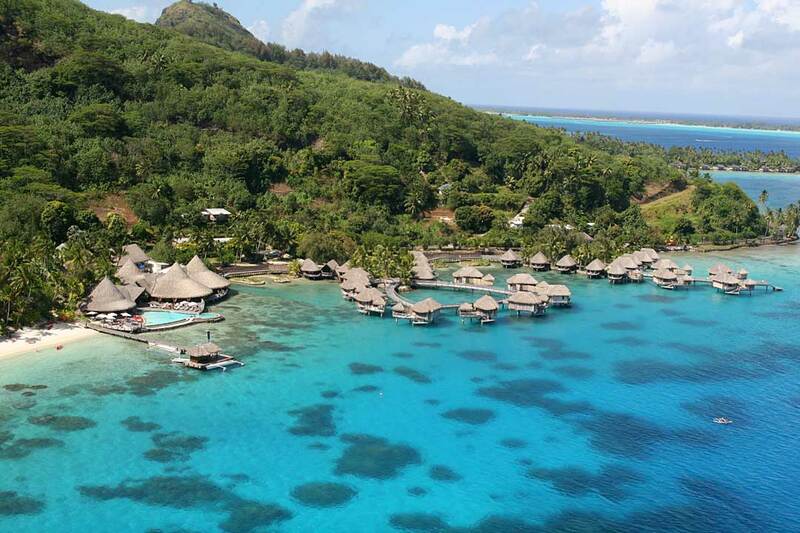 => Combining stay with any other French Polynesian Sofitel resort, receive 20% discount on your stay at Sofitel Bora Bora Marara Beach Resort + additional 10% discount when combined to 'Stay Longer, Save More' offer! Joys of the most beautiful lagoon in the world: scuba diving (manta rays, lemon sharks), excursions, water sports activities. LATITUDE 16° : Restaurant featuring show cooking at lunch and dinner. 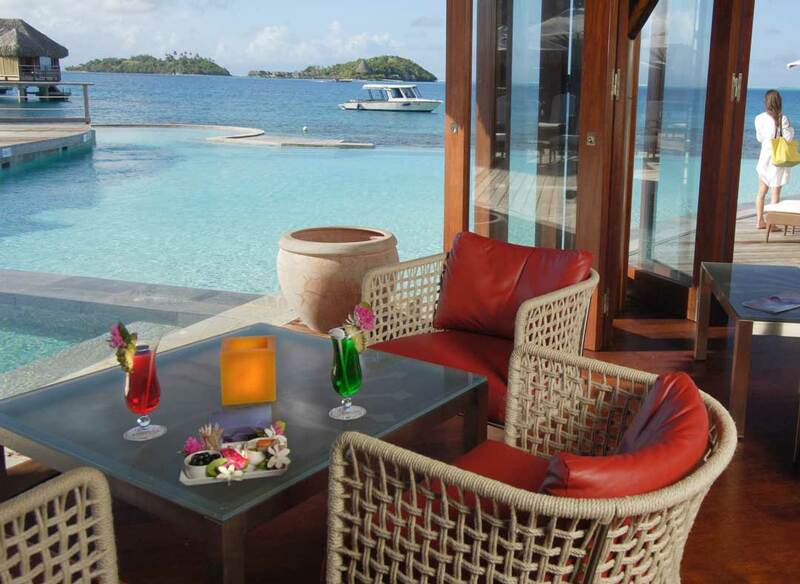 Overlooking the lagoon with a terrace. 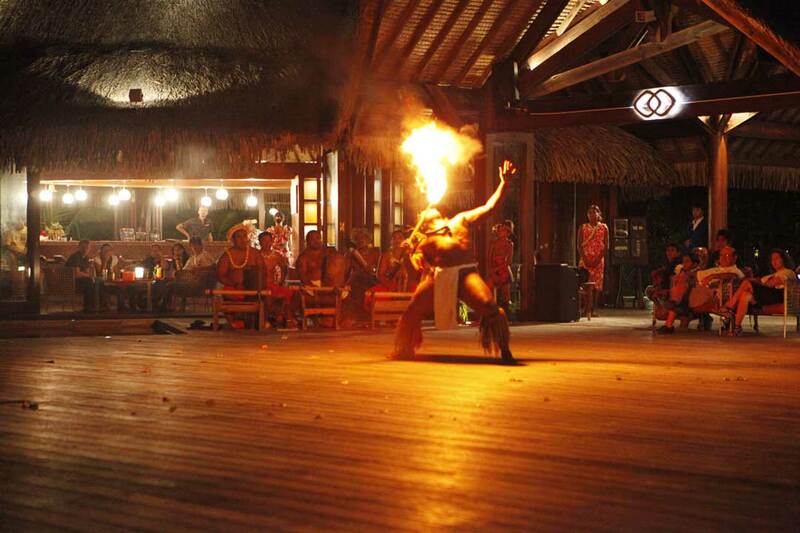 Local specialties as well as international cuisine, theme nights and a Tahitian oven. HURRICANE : Bar with terrace facing the lagoon with entertainment in the evening, theme nights and also poolside snacks during the day.